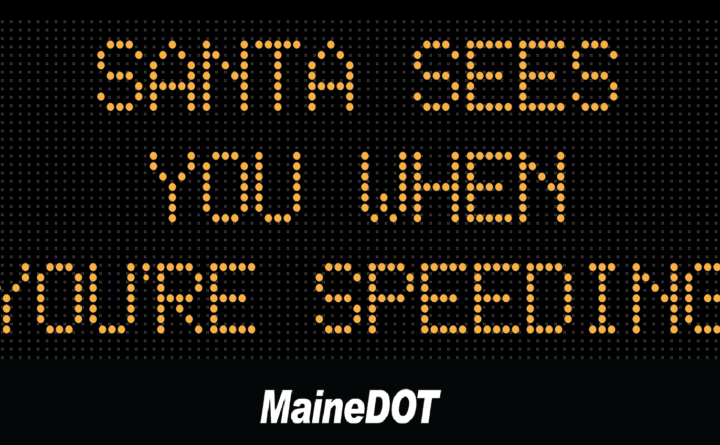 The Maine Department of Transportation has announced the winners of its safety sign contest. Here they are: the winning submissions to the state Department of Transportation’s “My Maine Sign” contest, where contest hopefuls vied to get their safety-themed message on one of the flashing highway signs that line Maine’s interstates. The six winners — which reflect a combination of cleverness and classic Maine wit – beat out more than 2,000 other entries submitted before the contest period closed in mid-March. Entries were split into two categories based on sign size. — “Put Down UR Cell — Or You May End Up In One,” by Katie Landry. — “Spend Money On Lobstahs — Not Speeding Tickets,” by Dan Zarin. — “Little Known Fact — Snow Is Really Slippery,” by Tim Fahey. — “A Cold Suppah Is Bettah Thana Hot Ticket,” by Craig Carver. — “Be Protected — Not Projected – Buckle Up,” by Laura Giuliano. — “Keep In Mind — Moose Eyes Don’t Shine,” by Terry White. Drivers can expect to see these clever cautions posted along the highway in the coming year. Officials said they change up sign messages every two weeks or so.